Low water levels are a hassle, not to mention the damage they can cause to your pool. 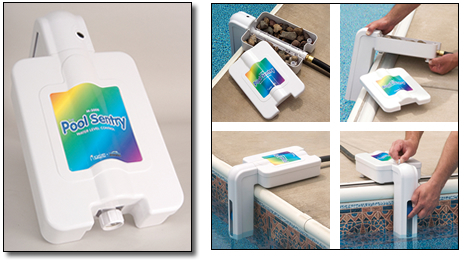 Pool Sentry senses low water levels and automatically refills your pool. Great for keeping your pool filled while on vacation or controlling the water level in a pool with a slow leak. Pool Sentry prevents water from dropping below your skimmer, which can cause costly damages to your pool's pump. Easily installs on most pools and connects to a garden hose.